Oh Pepper? : When You're Here, You're Family! 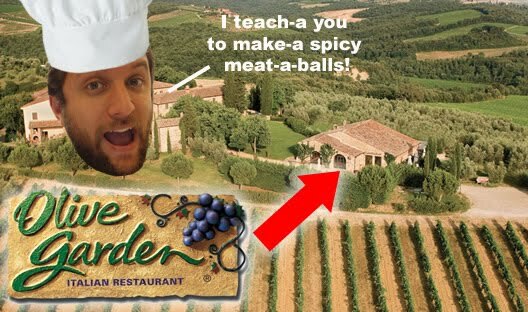 la la la I'm going to go get some real pasta from the chefs at Olive Garden. I thought I left a comment before now! Guess not, or the "moderator" dissed my comment. Maybe it wasn't Tuscany, but TusKany, the shed at the zoo where they prepare the food for the elephants and walruses.